Coloring isn’t just for children. 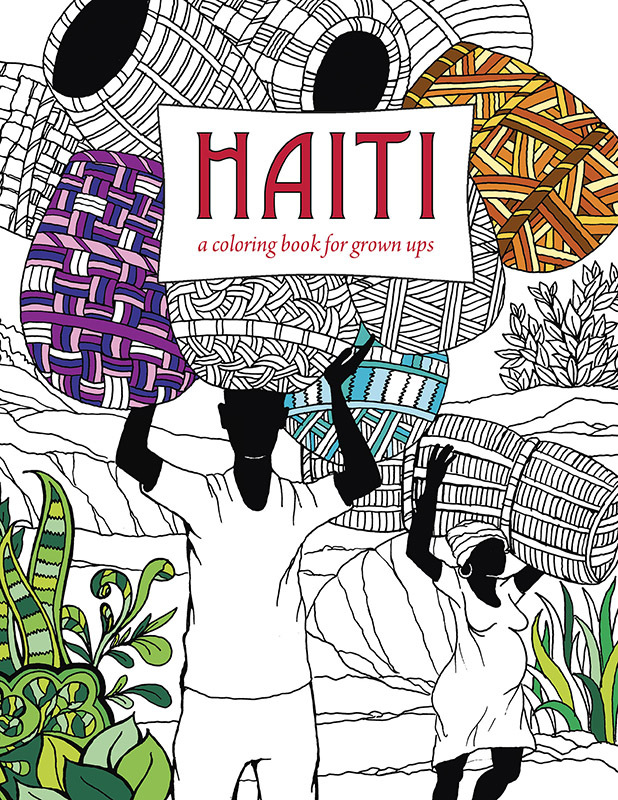 Explore Haiti through these intricate, hand drawn pen and ink drawings of typical scenes, landmarks, and favorite icons. Use your imagination to bring to life the market scenes with their vibrant fruits and vegetables, the sugarcane fields in their shades of green and brown, or the ocean with tropical fish, busy fishermen, and colorful dugout boats. Includes 32 original drawings. Printed on heavy white paper on one side only for easy coloring and removal.